Twenty first century life often means being seated for long periods of time and anyone doing so can benefit from having their very own pressure cushion. Access Health supplies and sells a wide range of quality pressure cushions that provide comfort and support for the lower back and buttocks while also assisting with an individual’s general posture. The pressure cushions that we offer are all quality products that provide comfort for people seated in vehicles, home, office and wheelchairs for long durations of time. The Pressure Relief Equagel medical Cushion made from a durable patented column-buckling gel technology which spreads body load by providing a reduced amount of contact area while permitting increased air circulation which assists with the dispelling of heat and moisture. The Roll n’ comfort cushion is a pressure relieving gel seat cushion which is exceptional in most seating environments and has the added benefit of being easily rolled up so it can carried to where you need it to be. 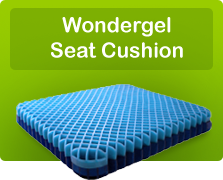 For more information about our other products, especially those made by WonderGel with their patented column-buckling gel technology please, visit our Products Page and click on the Pillows/Cushions category. 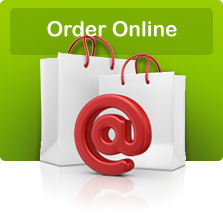 All of Access Health’s quality products are competitively priced and can be ordered online and delivered to your home – be it in Australia or abroad. For more information about our products please call our helpful professional staff on 1300 65 95 40 or send an email or go to our Contact Us page and send us a message. 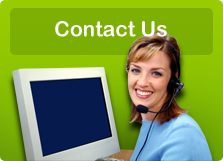 All of the products Access Health provides are covered with their own specific manufacture warranty terms. Access Health imports and distributes the EquaGel Pressure Relief wheelchair Cushions range for clients that are at risk of Pressure Injuries due to any one of contributing factors. EquaGel Pressure Relief Wheelchair Cushions are excellent for prevention and recovery of pressure injuries associated with immobility when used in conjunction with an effective wound management strategy. EquaGel produce Gel seat cushions for wheelchairs. These Wheelchair Gel seat cushions have waterproof covers. EquaGel medical pressure cushion are vapour permeable, therefore whoever is sitting on the pressure relief wheelchair cushions will have as dry, skin/cushion interface which is very important for skin integrity. EquaGel Pressure Relief Cushions by way of their construction, provide lower temperatures and a dry skin/cushion interface than inflatable cushions. EquaGel wheelchair Pressure Relieving Cushions also absorb vibrations while foam cushions amplify vibrations. This means EquaGel Pressure Relieving Cushions provide much better skin and tissue integrity. Patients with poor mobility, hydration, nutrition, circulation will benefit from EquaGel, gel seat cushions for wheelchairs. Wheelchair Pressure Relief Cushions contribute to patient comfort and overall outcomes. EquaGel gel seat cushions for wheelchair cushions are not inflatable and there for the EquaGel pressure relief wheelchair cushions do not require adjustment and/or ongoing maintenance. EquaGel Gel seat cushions for wheelchairs pressure maps very well, with the wheelchair pressure relief cushions displaying low peak and average pressures. The EquaGel wheelchair gel seat cushion was compared to several different types of cushions in the market and the EquaGel pressure relief wheelchair cushions offered superior results, even against much higher prices brands. The EquaGel medical pressure cushion provide a very compelling cost/benefit solution to patients, carers and providers. EquaGel gel seat cushions for wheel chairs can be prescribed into any situation where wheelchair pressure relief cushions are required, be it private homes, Aged Care, Rehab, hospitals etc. The EquaGel wheelchair gel seat cushion is very low maintenance and in the event a pressure relief wheelchair cushion is soiled, it can be put into a washing machine to be cleaned. The only proviso for the cleaning of EquaGel medical pressure cushions is that they must NOT be put into a Commercial Dryer.